Expert witnesses have become fixtures in today’s courts. From fiber comparisons to economic projections to psychiatric evaluations, the range of offered expertise covers the span of human knowledge. Hardly a case of any consequence goes to trial without expert testimony of some kind. With such widespread use of expert testimony comes the inevitable question: what is the trial judge’s role in overseeing the testimony of expert witnesses? Unlike lay witnesses, whose testimony a jury can evaluate based on their own common sense and experience, expert witnesses offer conclusions based on practices and knowledge beyond the ken of the average juror. As a consequence, testimony by unpoliced expert witnesses can have a potentially prejudicial effect on jurors, who may be inclined to believe the experts solely because of their "expert status." How is the trial judge to know whether the expert is merely speculating, or whether the evidence on which the expert bases his or her conclusions is sufficient to support the conclusion? Judges certainly prevent lay witnesses from speculating and are expected to exclude the testimony of a witness offering wholly speculative evidence. Why should this mandate be any different when the witness purports to be an expert? If one accepts the proposition that the trial judge has a duty to exclude unreliable experts, a host of concerns inevitably follows. How is a trial judge to assess the scientific or technical adequacy of expert testimony if even a cursory understanding of the issues requires specialized training? Can anyone without such training fully understand the issues and come to a rational conclusion as to their validity? To what degree can the trial judge rely on the expert’s own assertions about his or her qualifications? All of these concerns carry heavy weight for in many cases the trial judge is hardly a more qualified assessor of scientific credibility than the jury itself. In this introduction and the papers which follow it, we have laid out some possible answers to the myriad questions raised by judicial gatekeeping. This first paper attempts to establish a historical perspective on gatekeeping in these states. The papers which follow it give a more generalized picture of the gatekeeping debate. Ultimately we hope that you find these materials helpful in formulating or fine tuning your own approach to science in the courts. In 1923, the D.C. Circuit announced its landmark decision regarding the admissibility of expert opinion testimony on novel scientific procedures in Frye v. United States.1 In Frye, the defendant attempted to show his innocence by proffering the results of a lie detector test that purportedly demonstrated that he was telling the truth when he denied killing the victim. The court ruled that the evidence was inadmissible because the scientific principles upon which the procedure was based were not, "sufficiently established to have gained general acceptance in the particular field in which it belongs. "2 This so-called Frye general acceptance test remained the standard employed in both federal courts and state courts around the country for years to come. With the adoption of the Federal Rules of Evidence in 1975, courts, scholars and practitioners alike began to question whether Frye would survive as the sole admissibility standard for expert testimony. Under the Federal Rules, judges were seemingly afforded more discretion in making admissibility determinations. Rule 104(a) assigns judges the responsibility of making a preliminary determination on whether to allow a given expert to testify. Rule 702 goes on to guide this decision by requiring the judge to determine whether the admission of such testimony will assist the trier of fact to understand evidence or determine a fact at issue. Finally, Rule 403 suggests that the judge may exclude evidence if its likely prejudicial effect outweighs its probative value. The question was then to what degree would the arguably conservative Frye general acceptance standard survive in the wake of the presumably more liberal admissibility framework embodied in the new Federal Rules of Evidence. This nonexhaustive list of indicia of reliability relegated the Frye standard to one of a handful of guidelines that may be employed in ruling on admissibility. In conjunction with the newly ordained relevancy prong, the reliability criteria form a substantially more robust framework with which to analyze given scientific testimony. Although the Parkinson court did not adopt either set of criteria as the definitive checklist for admissibility, the court’s willingness to discuss the Daubert factors and similar indicia of reliability suggests that a clearer statement of the Idaho Supreme Court’s Rule 702 mandates may be soon to come. 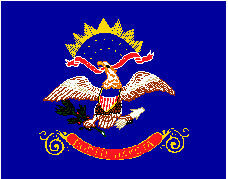 North Dakota is rare among states in that it never formally adopted the Frye standard. In 1983, the North Dakota Supreme Court noted in State v. Brown that the state had "never directly adopted the Frye rule. "31 However, North Dakota’s approach has been generally to use the "general acceptance" standard. This has occasionally involved using as a factor in the "general acceptance" test an examination of whether the technique at issue is admissible in other states.32 Currently, North Dakota has a Rule 702 that is very similar to Fed. R. Evid. 702. Without overruling Frye, the North Dakota Supreme Court recognized that the United States Supreme Court "held that the Frye test, requiring general acceptance within the relevant scientific community, has been superseded by Fed. R. Evid. 702. "33 Although the Daubert opinion has not been analyzed since McLaughlin, it will be interesting to see in future cases to what extent Rule 702 will loosen the admissibility standards for scientific evidence in North Dakota. The circuit court’s "particularly stringent," pro-admission standard was indeed short lived. Upholding a judge’s right to exclude given expert testimony on the basis of perceived analytical gaps in the science is an unprecedented broadening of the gatekeeper role. Such a ruling at first seems to run contrary to the "liberal thrust" of the Rules of Evidence as articulated in Daubert. It remains to be seen whether courts will be as deferential when judges exercise their discretion in favor of admissibility of arguably questionable scientific evidence. How Joiner will effect other states in the nation that employ the abuse of discretion standard also remains to be seen. Endnotes 1 293 F. 1013 ( D.C. Cir. 1923). 3 113 S. Ct. 2786 (1993). 5 See id. at 2796-7. 6 See Merlyn W. Clark, The Impact of Daubert on the Admissibility of Expert Opinion, 39-APR Advocate (Idaho) 10, 13 (1996) citing Report of the Idaho State Bar Evidence Committee, C702, pp. 2-3 (4th Supp. 1985). 7 119 Idaho 1047 (1991). 8 See Clark, 39-APR Advocate at 13. 9 123 Idaho 62 (1992). 10 See id. at 65. 11 See Clark, 39-APR Advocate at 14. 12 123 Idaho 42 (Ct. App. 1996). 13 605 A.2d 1079 (N.J. 1992). 14 Ryan, 123 Idaho at 46. 15 See id. cited in Clark, 39-APR Advocate at 14. 16 See Clark, 39-APR Advocate at 14. 18 Parkinson, 128 Idaho at 34. 19 202 Mont. 185 (1983). 22 See id. at 194. 23 264 Mont. 1 (1994). 24 See id. at 10. 25 268 Mont. 20 (1994). 27 See id. at 41. 29 275 Mont. 46 (1996). 30 Robert L. Sterup, Into the Twilight Zone: Admissibility of Scientific Expert Testimony in Montana after Daubert, 58 Mont. L. Rev. 465, 471 (Summer 1997). 31 337 N.W. 2d 138, 148 n.6 (N.D. 1983). 32 See, e.g., State v. Brown (examining three different approaches taken by states around the country when confronted with the issue of admissibility of hypnotically refreshed testimony); City of Fargo v. McLaughlin, 512 N.W. 2d 700 (N.D. 1994) (assessing the approaches of other states on the question of whether a scientific foundation must be laid before HGN sobriety tests are admitted). 33 McLaughlin, 512 N.W. 2d at 705. 34 467 N.W. 2d 499 (S.D. 1990). 36 Both rules of evidence are essentially identical to its corresponding Federal Rule. 37 512 N.W. 2d 482 (S.D. 1994) (determining that the "evidentiary rules concerning the admission of scientific evidence, as pronounced in Daubert, were satisfied" in this case concerning the admissibility of intoxilizer test results); see also State v. Loftus, 573 N.W. 2d 167, 175 n.8 (S.D. 1997) ("when this Court adopted the Daubert standard in Hofer, we did so unconditionally and without discrimination concerning individual scientific disciplines such as DNA evidence"). 38 See id. ("After an extensive review of the record, relevant case law and scientific literature, we agree that the product rule method of analyzing DNA statistical evidence rests upon a reliable foundation. . . . the trial court fulfilled its ‘gatekeeper’ duties prior to admission."). 39 840 P.2d 933 (Wyo. 1992). 40 See id. at 941. 41 See id. at 942. 45 118 S. Ct. 512 (1997). 46 See id. at 516. 49 See id. citing General Electric Co. v. Joiner, 865 F. Supp., 1310, 1326 (N.D. Ga. 1994). 50 General Electric Co. v. Joiner, 78 F.3d 524, 529 (11th Cir. 1996) (emphasis added). 51 Joiner, 118 S. Ct. at 517 (citations omitted)..
52 Id. at 518 (citations omitted).